Emotions are rising exponentially with the rousing revelation that Pluto has a huge 'Heart' as revealed in stunning new imagery received just today (July 8) from NASA's New Horizons spacecraft – which has also officially started its intensive flyby campaign merely 5 days out from humanity's history making first encounter with the last unexplored planet in our solar system on Tuesday, July 14. 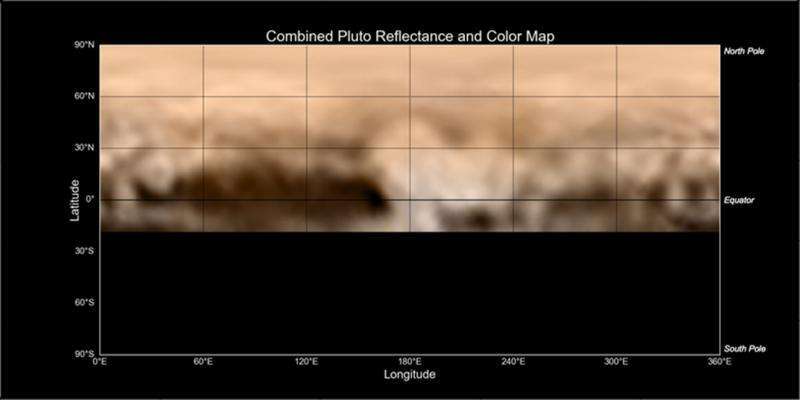 Notably, today's image showing Pluto's 'heart-shaped' surface feature proves that New Horizons is now fully back in business following the nail-biting July 4 weekend anomaly that unexpectedly sent the probe into a protective status known as 'safe mode' and simultaneously sent mission engineers and scientists scurrying to their computer screens to resolve the scary issues and recover the probe back to full operation – just in the nick of time. The intriguing 'heart' is the brightest area on Pluto and "may be a region where relatively fresh deposits of frost—perhaps including frozen methane, nitrogen and/or carbon monoxide—form a bright coating," say mission scientists. While in 'safe mode' all science operations were temporarily halted for nearly three days as the spacecraft inexorably zooms towards mysterious Pluto and its quintet of moons for our first up close reconnaissance of the frigid world and the Kuiper Belt. Read my earlier story from July 6 here detailing how the science team and NASA resolved the July 4 anomaly and restored New Horizons to normal operations with little time to spare for its one time only flyby of the other 'Red Planet'. The view of Pluto's 'Heart' was taken by the Long Range Reconnaissance Imager (LORRI) when the spacecraft was just under 5 million miles (8 million kilometers) from Pluto, and is the first to be received back on Earth since the anxiety rush caused by the July 4 anomaly. 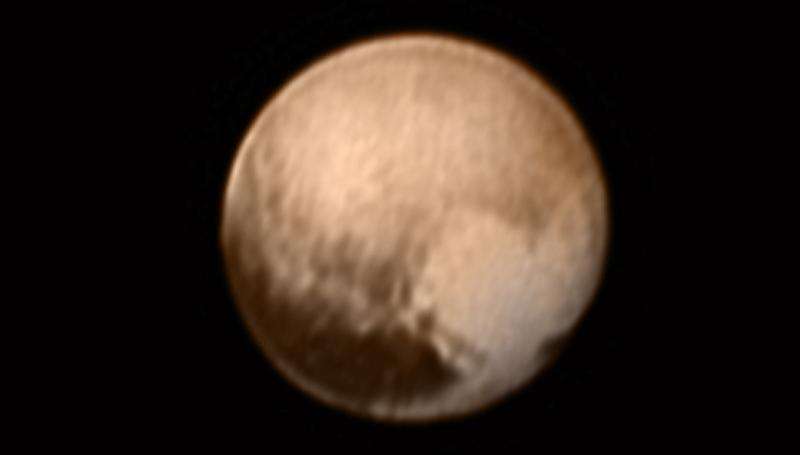 The heart covers nearly half of Pluto's now well-resolved disk. 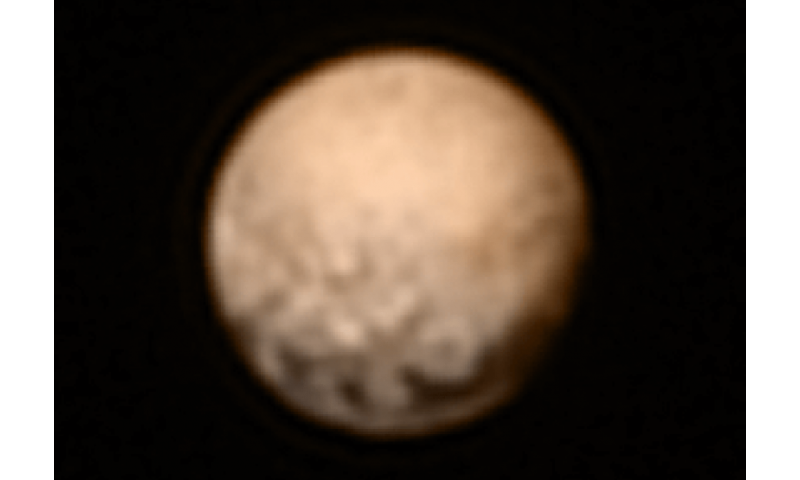 Above 'the whale and the heart' lies Pluto's polar region that images show is intermediate in brightness. Be sure to keep this entire area in mind – as if your appetites haven't been whetted enough already – because "this view is centered roughly on the area that will be seen close-up during New Horizons' July 14 closest approach," says NASA. "The next time we see this part of Pluto at closest approach, a portion of this region will be imaged at about 500 times better resolution than we see today," said Jeff Moore, Geology, Geophysics and Imaging Team Leader of NASA's Ames Research Center, in a statement. "It will be incredible!" With barely 5 days to go until the once-in-a-lifetime opportunity for a fast flyby encounter of the ever intriguing binary planet traveling at the far flung reaches of the solar system, last minute glitches are the last thing anyone needs. Why? 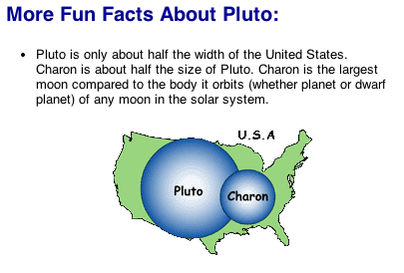 Because there are no second chances as New Horizons barrels towards the Pluto system at approximately 30,000 miles per hour (over 48,000 kilometers per hour), which forms a binary planet with its largest known moon – Charon. "The New Horizons spacecraft and science payload are now operating flawlessly," Alan Stern, New Horizons principal investigator, Southwest Research Institute, Boulder, Colorado, announced at the July 6 post anomaly media briefing. The nature of Pluto's features that may appear to resemble craters or volcanoes is not yet known. "We should be very cautious in interpreting these features," Stern told Universe Today. New Horizons will swoop to within about 12,500 kilometers (nearly 7,750 miles) of Pluto's surface and about 17,900 miles (28,800 kilometers) from Charon during closest approach at approximately 7:49 a.m. EDT (11:49 UTC) on July 14. TThe probe was launched back on Jan. 19, 2006 on a United Launch Alliance Atlas V rocket on a 9 year voyage of over 3.6 billion miles (5.7 billion km). "We are on our way to Pluto!" exclaimed Jim Green, director of Planetary Science, NASA Headquarters, Washington, at the July 6 news media briefing. "It's really a historic time, fraught with many decisions and challenges on the way to the July 14 Pluto system encounter." "With Pluto in our sights, we're going for the gold." The New Frontiers spacecraft was built by a team led by Stern and included researchers from SwRI and the Johns Hopkins University Applied Physics Laboratory (APL) in Laurel, Maryland. APL also operates the New Horizons spacecraft and manages the mission.